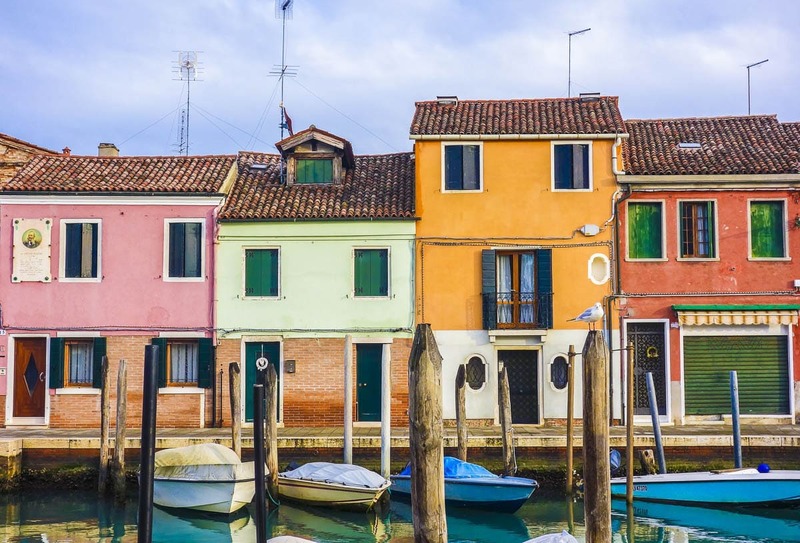 From the beauty of Romeo and Juliet’s Verona, to wine tasting in the Prosecco region and exploring the islands of Burano and Murano, these are the best day trips from Venice, Italy. Venice is one of the most beautiful cities in the world. With its network of canals and bridges, skinny streets and stunning architecture, it looks like it was built for a film. It doesn’t look real! It’s been a tourist hotspot for years. Made up of 118 small islands separated by canals, it is rich in cultural and historical significance. So much so that part of the city is listed as a UNESCO World Heritage Site. A city with no cars? In the 21st century? It seems impossible doesn’t it? But not in Venice! It’s a city that oozes charm. You can wander from cute cafes, to pizzerias, all while taking in the renaissance architecture, as gondolas pass you by. While I love mooching around the city, taking in the views, stopping for a few photos, enjoying daily gelatos and feasting on delicious Italian cuisine, there are plenty of great days out in the area too. 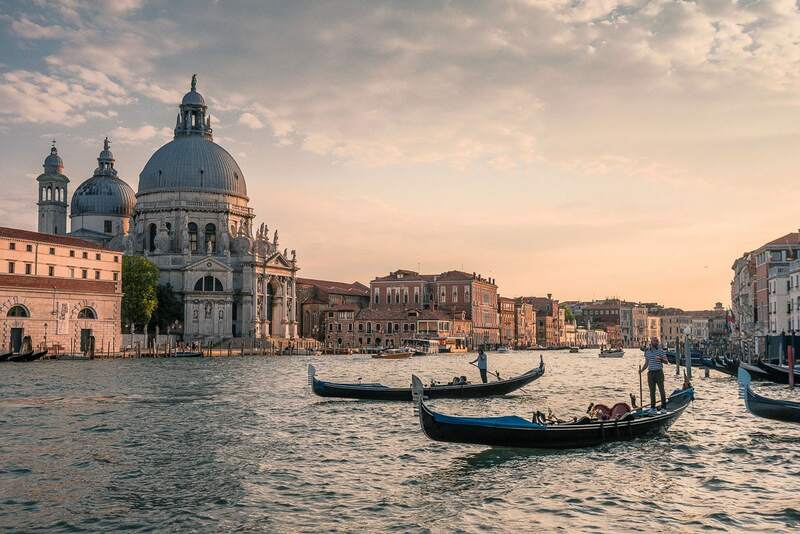 From hopping on a boat to nearby Murano or Burano, to wine tasting in the Treviso region and visiting the setting of a Shakespearean tragedy, these are the best day trips from Venice. Venice has two airports. The majority of flights go to Marco Polo Airport, which is 12km north of the city next to one of the lagoons. Yep, this means you’ll be greeted by beautiful Venetian views as you come into land! Venice Treviso Airport is 30km away and is much smaller. It tends to be served by budget airlines like Ryanair, which offers cheap flights to Venice, with returns starting at £33 return! To reach Venice from Marco Polo Airport I’d recommend taking the Alilaguna hydrofoil (ferry) which takes around one hour and costs £13 each way. If you have a lot of people travelling with you, then a water taxi could work out cheaper, although the prices I found were just under £100 each way. 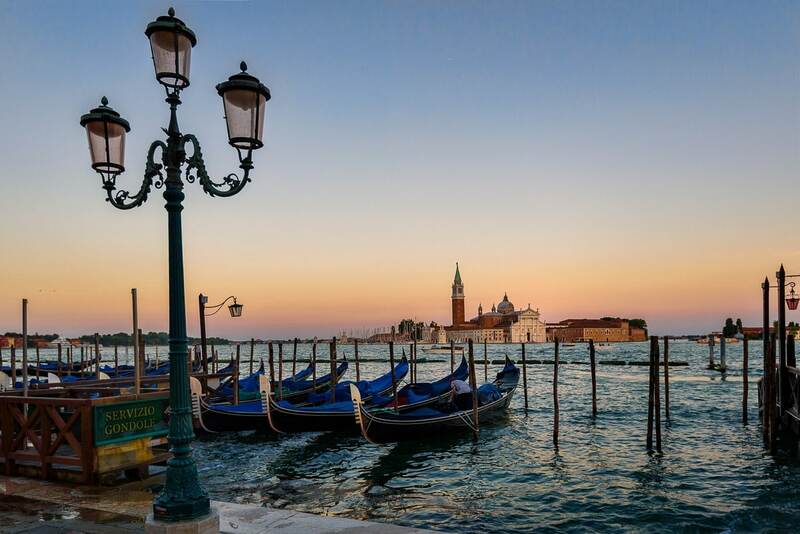 Lasting around five hours, this Venice day trip takes you to several famous Venetian islands and introduces you to some ancient traditions. A tour guide will kick things off on board the boat across the Venetian lagoons, telling you all about the history of the region and the islands you’ll be visiting. Murano is first, known for its traditional glassware. You’ll get to see one of the famous glass factories where the skilled craftsmen work, blowing the glass and creating some colourful designs. 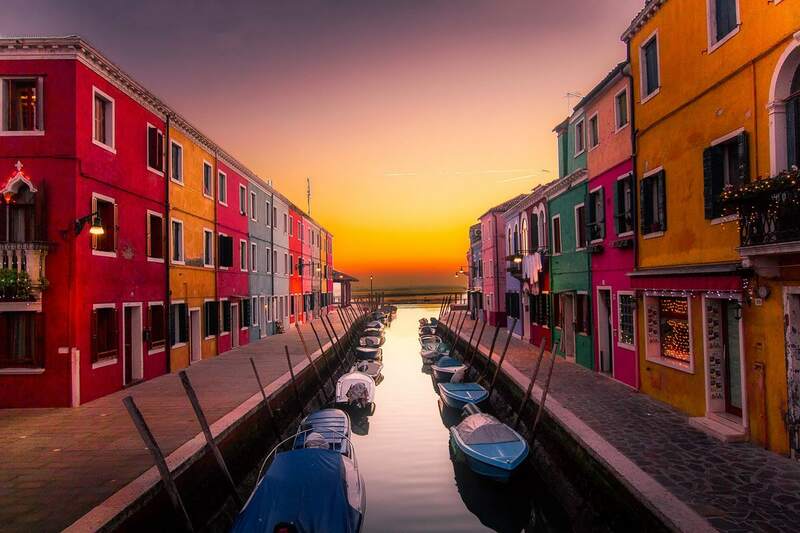 Meanwhile, Burano is a traditional fishing island, famous for its colourful houses. It’s another island famed for crafts, with lace making and embroidery its big exports. I like that this isn’t a proper guided tour, so you can spend time on each island doing whatever takes your fancy! I’m a huge lover of prosecco… are you? It’s one of my favourite drinks whether I’m with the girls, enjoying time with family or have something to celebrate. There’s just something about the bubbles! 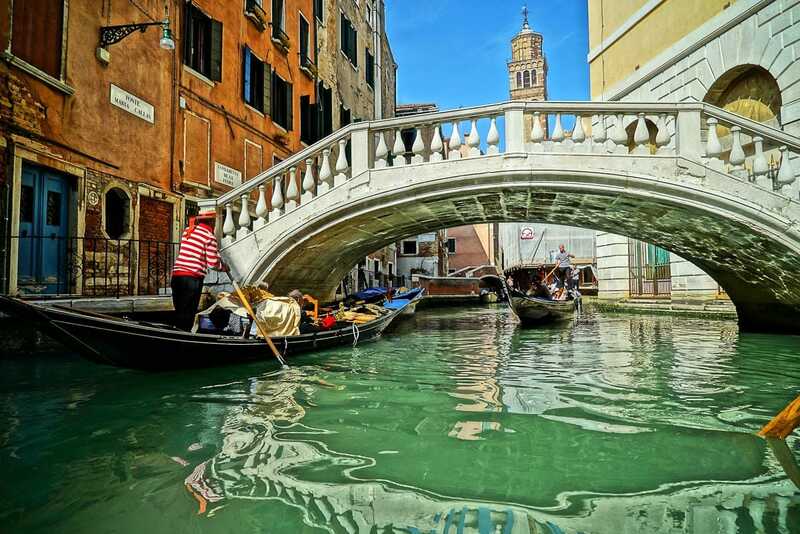 If you’re a fan too, then this is the Venice day trip for you! 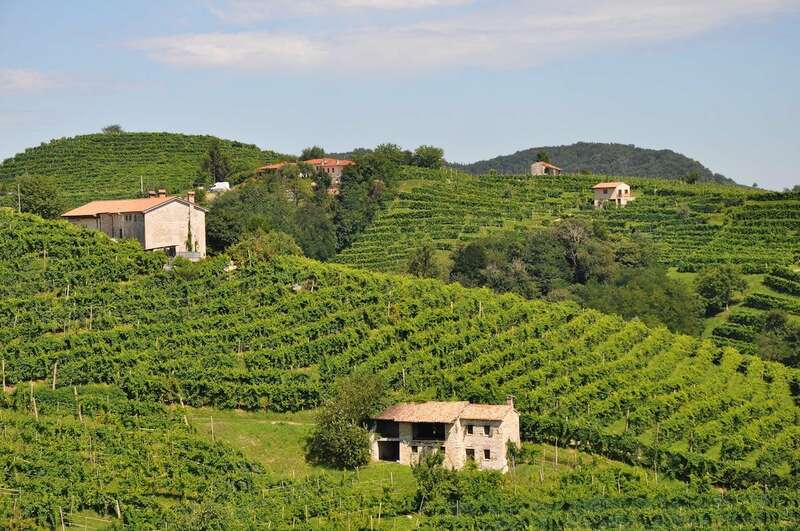 You’ll drive through some of the most scenic parts of northern Italy to visit two of the local wineries in the prosecco region. You’ll learn how prosecco is made from the starting stages of the wine press right through to the fermentation room and bottling. Plus you’ll be treated to a delicious Venetian lunch at a traditional trattoria, overlooking vineyards. 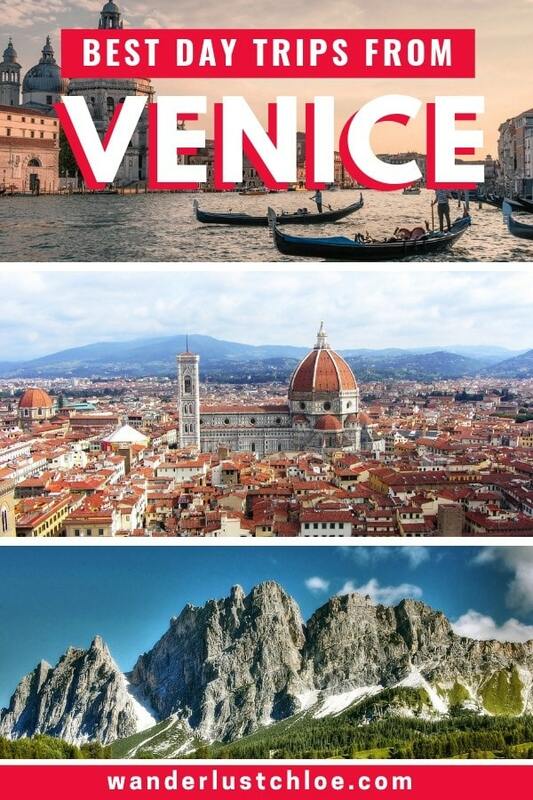 I’ve never been out to this region, but this is a day trip from Venice that I just know I’d love! Oh fair Verona! 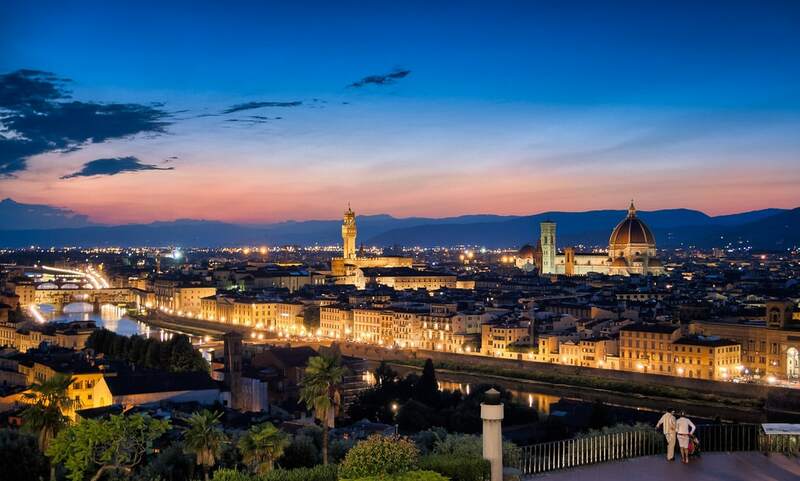 We all know it as the setting for Shakespeare’s Romeo and Juliet, but there are plenty more reasons to visit this beautiful Italian city. It’s easy to catch the train from Venice to Verona (takes around 1 hour 10 mins) and take yourself on this day trip. But if you fancy a more informative day, I’d recommend booking a tour, which includes a guide, transport and access to some of the key attractions. 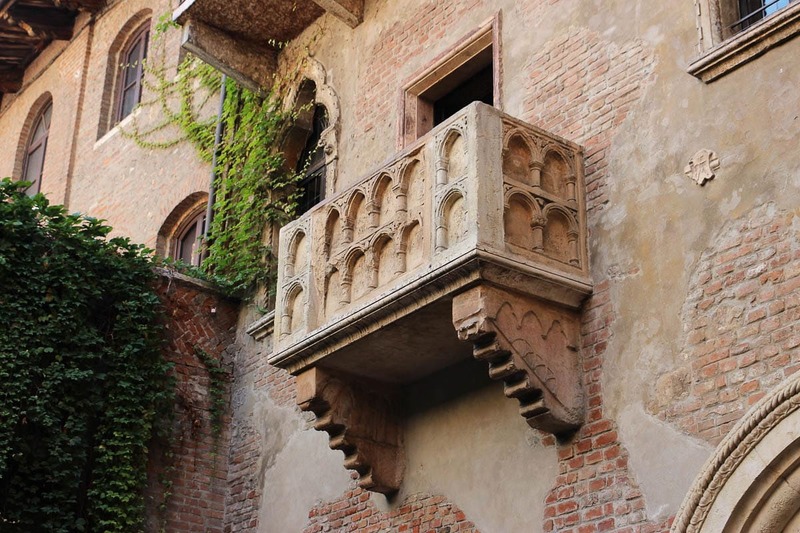 You’ll get to see one of the best views of the city from Castel San Pietro, then visit Juliet’s house as well as exploring the Roman amphitheatre. 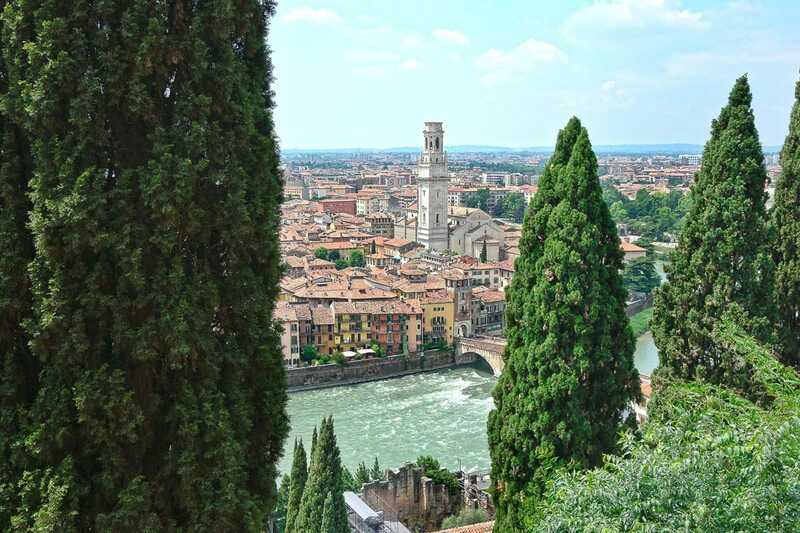 I think a trip to Verona is a perfect complement to spending time in Venice – no doubt you’ll be as surprised as I was about the similarities and differences! Famous for art, great Italian food and stunning architecture, it’s no surprise Florence is one of the top day trips from Venice. It’s another one that’s easy to reach from the city, with the high speed train taking just over 2 hours. If you’d prefer to have a guide to teach you about the history of the city, consider booking a tour like this one. 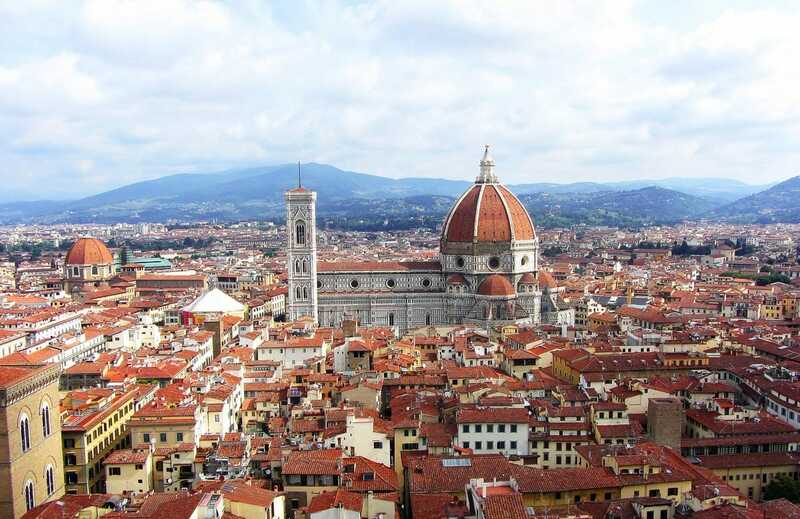 They’ll show you around famous sights including the Basilica of Santa Croce, the Duomo and many more. If you love Italian food, then this tour includes a salami tasting at Florence’s huge food market Mercato Centrale. If you’re not sure whether you fancy sitting on a train for 4 hours, don’t worry – it’s a really scenic journey, whizzing you through the beautiful Emilia-Romagna region of Italy. 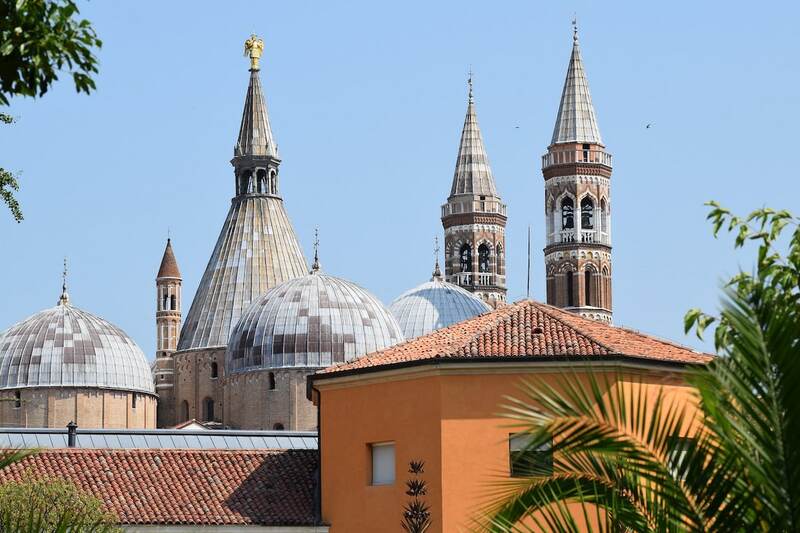 You can reach Padua (also known as Padova) in just 26 minutes by train, making it one of the easiest day trips from Venice. It’s one of the oldest cities in Italy, with many believing the Trojans founded it in 12BC. The big reason to visit Padua is for the incredible 14th-century frescoes by Giotto in Padova Scrovegni Chapel. Padua is another Italian gem, absolutely filled with history. It’s home to the second oldest university in Italy, where Galileo once taught. The main square Piazza Dei Signori is a great people watching spot, with a pretty clock tower and a handful of restaurants and cafes. There’s also Orto Botanico (the city’s botanical gardens) which is home to over 7,000 species of plants. 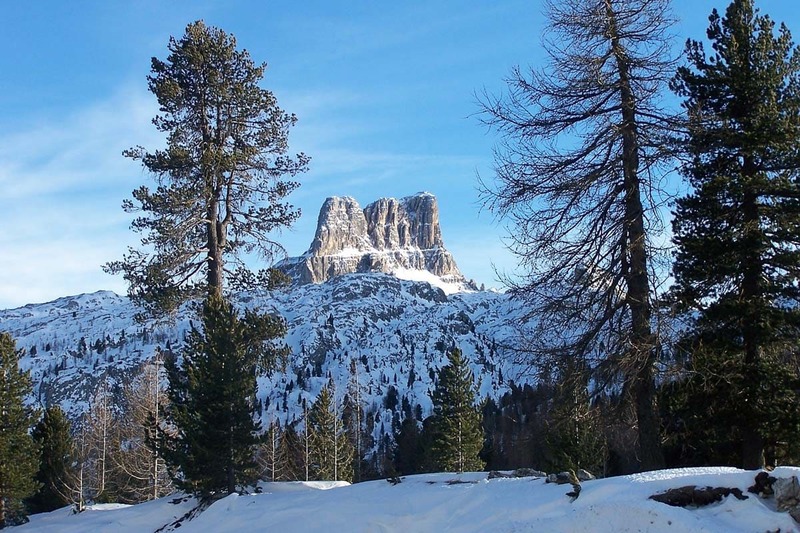 If you’re looking for day trips from Venice in winter, then how about visiting Cortina d’Ampezzo? Where I hear you ask? It’s in the heart of the Dolomites and is often named as one of the best winter towns in the Alps! This tour will collect you from Venice and take you up to Cortina by coach. The journey takes around 2 hours, but this is a journey you’ll be glued to the window for! Once in the town you’ll head up into the mountains by cable car, and enjoy the gorgeous snowy views, lunch and a little look around the cute boutiques and historic landmark, before heading back to Venice in the evening. OR if you’re visiting in the warmer months, you can head to the same region to explore Cortina, plus Misurina and Auronzo Lakes. There are some seriously magical views on this tour, so don’t forget your camera! Venice has a continental climate with wet and cold winters and warm and muggy summers, also being influenced by the Adriatic Sea. During the winter months from November to February, you can expect for the temperatures to range from 0 to 13 degrees Celsius. Meanwhile, from May to October you’ll be in for a treat as the temperatures range from 16 to 28 degrees Celsius. Taking into account both the weather and the number of tourists, the best time to visit Venice is in spring and autumn (April – May and September – November). Venice is a city that really struggles with tourist numbers in the summer months. It also gets very hot and smelly (all those canals…!) The prices skyrocket in summer months, with average hotels more than tripling their prices in peak summer. I hope this has helped you plan your trip to the Veneto region – let me know what you decide to do! If you fancy exploring more of Italy, check out my guide to sailing around the Aeolian Islands in Sicily and my top things to do in Turin!